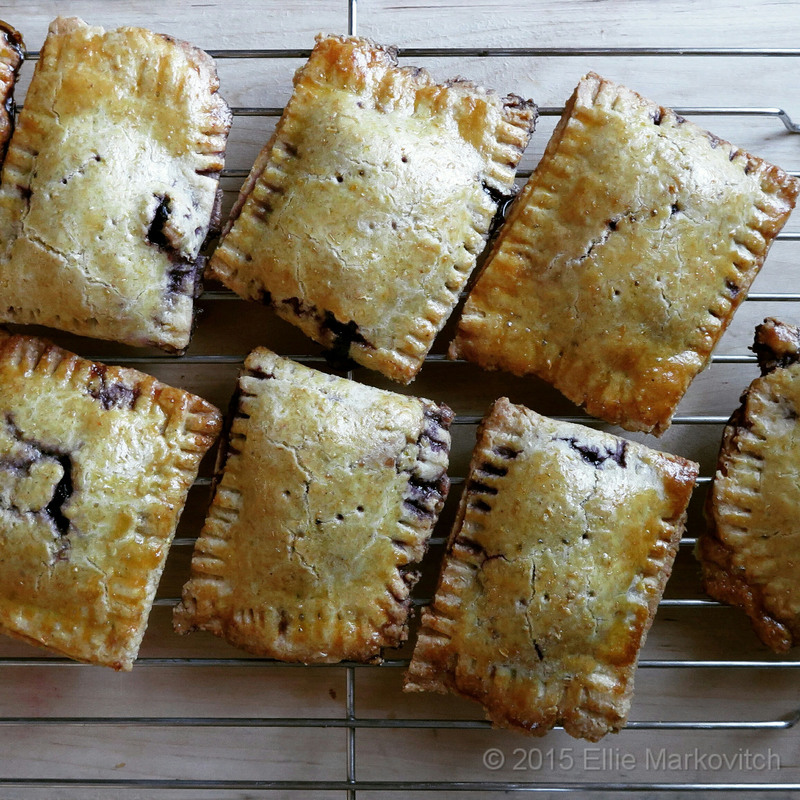 If you search storycooking.com there are all kinds of recipes for hand pies. We just love them, savory or sweet. Today’s version is adapted from King Arthur’s website via Lara Ferroni’s book Real Snacks. The recipe made 12 hand pies. To make the dough, whisk together the flour, sugar, and salt. Work in the butter until you see pea-sized lumps of butter. Add water slowly and press the dough together, mixing just until come to a ball. Divide the dough in half. Shape each half rectangles. Let it rest in a cool place. Open the dough between an open zip-log bag with some flour to roll out. 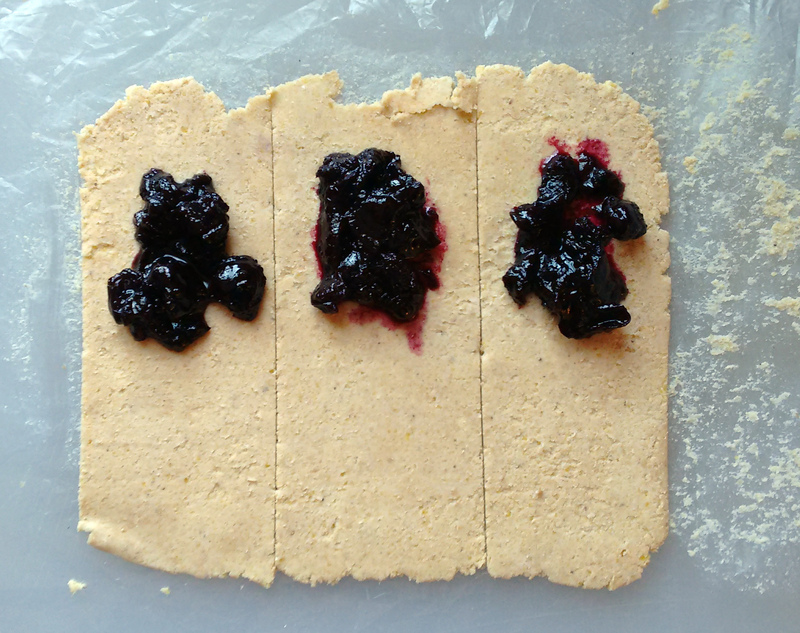 Cut into squares, fill with 1 tablespoon of filling. Here an example.